Components delivered as Linux Containers can also be used on Red Hat OpenShift Container Platform. Red Hat Developer Toolset* 7 adds a major update of the GNU Compiler Collection (GCC) to GCC 7.2, enabling developers to compile once and deploy applications across multiple versions of Red Hat Enterprise Linux. 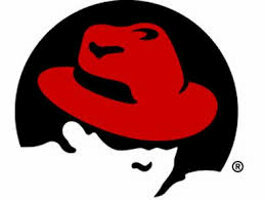 Red Hat Developer Toolset also updates the other supporting components, including the GDB debugger, the SystemTap tracing and probing tool, Valgrind (a dynamic analysis framework and tools), the strace system call tracer, and more. Clang/LLVM 4.0.1* – The LLVM compiler back-end and core libraries provide a modern source- and target-independent optimizer, while Clang is an LLVM-native C/C++/Objective-C compiler front-end that helps deliver faster compiles, intuitive error and warning messages, and a platform for building source-level tools. It also includes the Clang Static Analyzer, a tool that helps to automatically find bugs in written code. Go 1.8.3* – Known for its very fast compilation, the Go compiler supports the Go language, an expressive, concise, clean, and efficient language that helps to build flexible and modular programs optimized for multicore and networked machines. Rust 1.20* – Rust is designed to help create fast, more secure applications optimized for modern multi-core processors. It’s aimed at preventing segmentation faults and improving thread safety with an easy-to-learn syntax. In recognition that different CPU architectures solve different IT problems, Red Hat is now supporting additional architectures as part of Red Hat Software Collections 3. In addition to x86_64, the curated, supported components in Red Hat Software Collections 3 and Red Hat Developer Toolset 7 are now available across 64-bit ARM architecture (aarch64), IBM z Systems and IBM Power, little endian. This extends the ability of IT organizations to build supported enterprise applications using the latest stable open source tools on the architecture that meets their unique needs. As modern application development evolves to include microservice development and composite workloads, developers increasingly require containerized tools and supporting components, supported in the same way as traditional tools, to build enterprise applications for the cloud-native world. With this in mind, many of these software components are available as container images, in addition to RPMs, through the Red Hat Container Catalog. Red Hat Software Collections 3, Red Hat Developer Toolset 7 and the three Technology Preview compilers are now available with supported Red Hat Enterprise Linux subscriptions, all Red Hat Enterprise Linux Developer Subscriptions, and the no-cost Red Hat Enterprise Linux Developer subscription as part of the Red Hat Developer Program. *Components packaged as Linux containers can be also used on Red Hat OpenShift Container Platform. Delivered on a separate lifecycle from Red Hat Enterprise Linux with a more frequent release cadence, these offerings bridge development agility with production stability, helping IT organizations to create enterprise applications that can be deployed into production with greater confidence. Read more about the latest versions of Red Hat Software Collections, Red Hat Developer Toolset, and the new Clang/LLVM, Go, and Rust compilers.